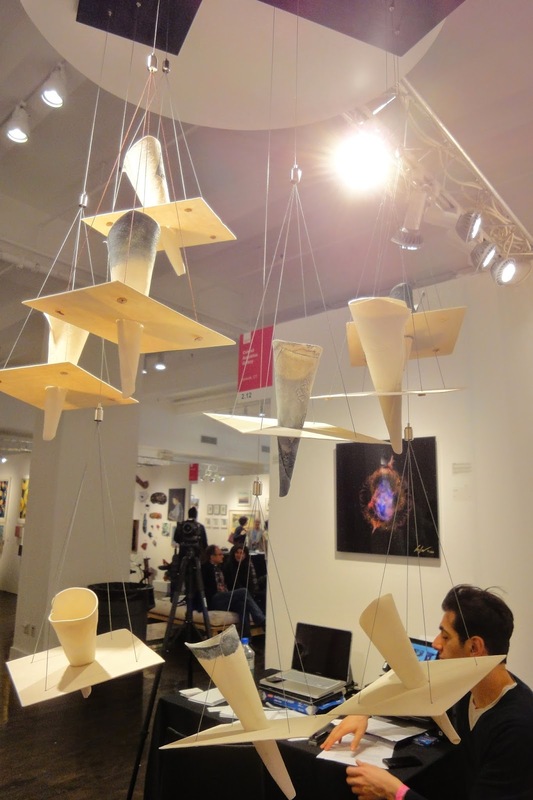 Scenes from The Affordable Art Fair, April 2nd-6th, 2014, Metropolitan Pavilion, N.Y.C. 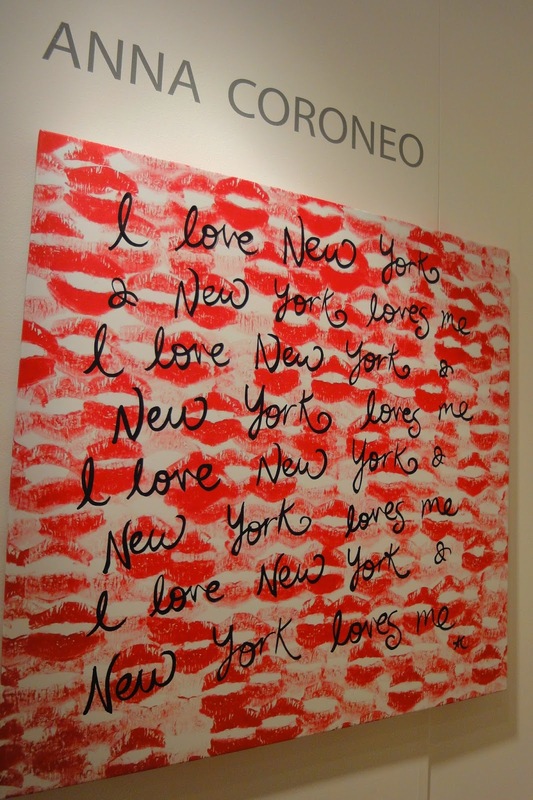 The Affordable Art Fair, www.affordableartfair.com, April 2014, N.Y.C., offered lots of impressive choices for art collectors, in the $100.00- $10,000 price range. 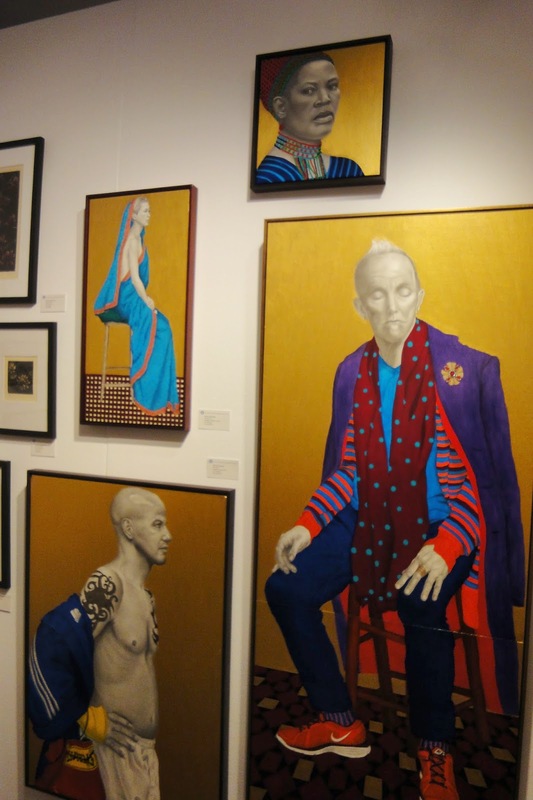 The wonderful thing about this particular art fair is that it is very casual, friendly and down to earth and features works by many artists which are appealing, individual, express experience and very collectible, while still being accessible to visitors who have affordable options, even with small wallets for art buying. 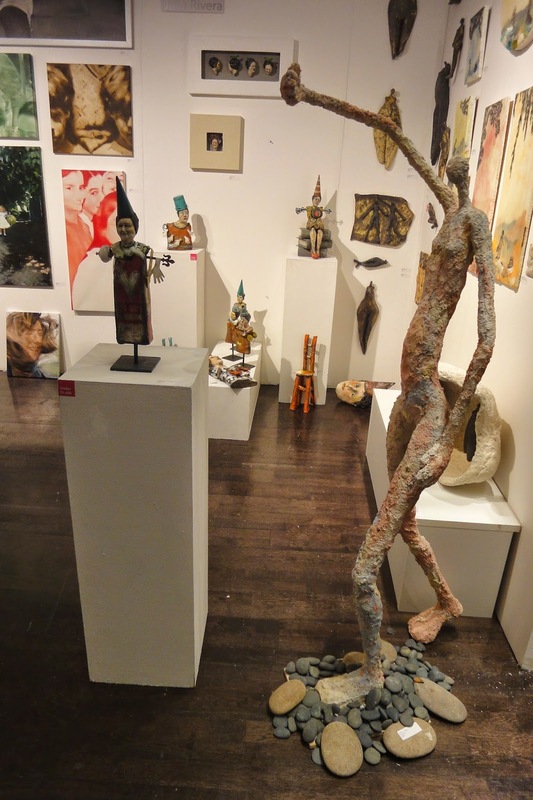 Nothing at this fair can be priced over $10,000 and I saw some small pieces that were as low as $20.00. The fair included panels and interviews. 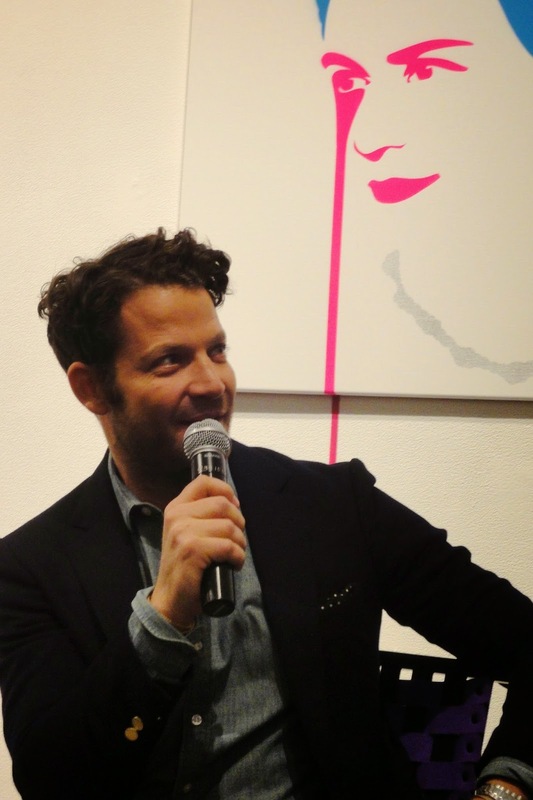 I caught a lively interview with interior designer, Nate Berkus, long- time collaborator of Oprah Winfrey and currently the host and a judge on NBC TV's home redesign competition show,"American Dream Builders". 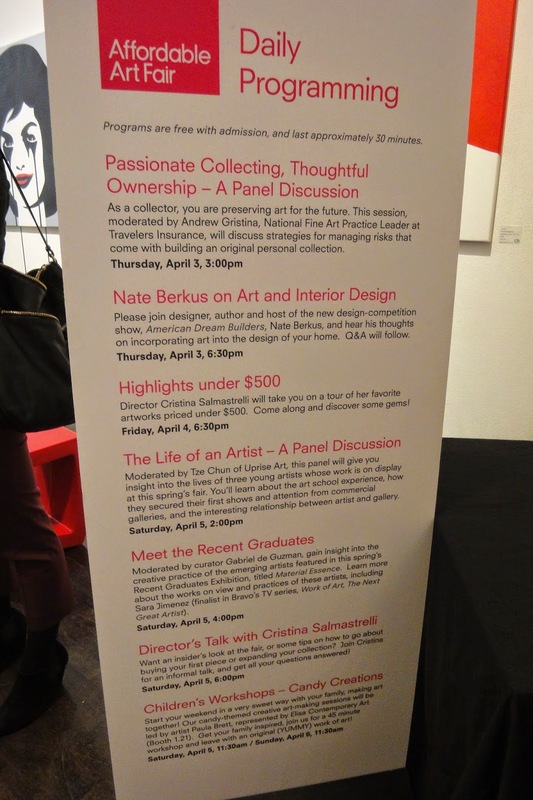 During Q. and A., Berkus shared some good advice for those of us who want to spruce up our surroundings. Before anything else, he said it is important to clean our spaces and get rid of our collected clutter. 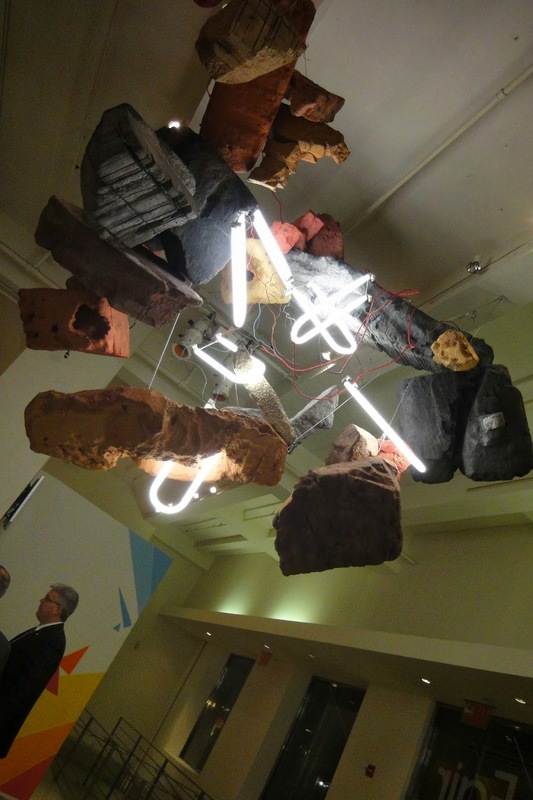 He feels that the most important design element in recreating one's space is lighting. He mentioned that one could add a few touches of a favorite color with some well chosen accessories. He talked about decorating his own place only in black and white. Berkus is known for successfully partnering high end design elements with inexpensive accessories in creating a beautifully designed environment. 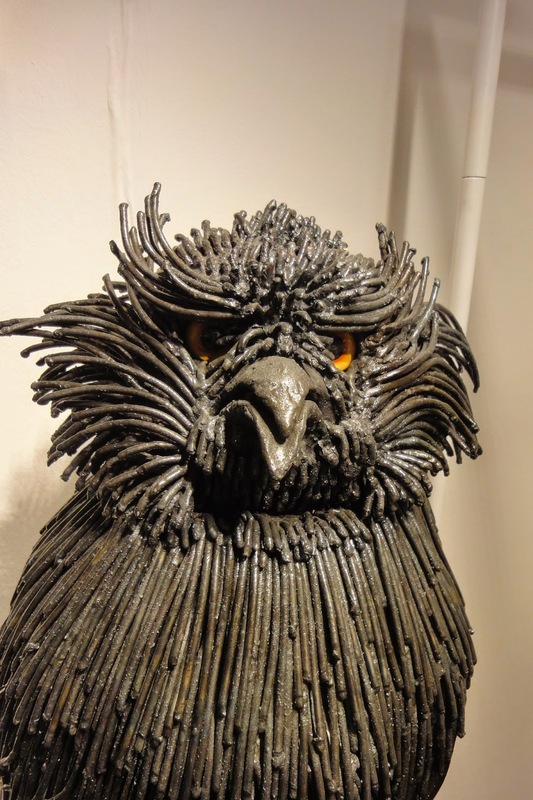 There were some artists whose work I particularly enjoyed at the fair. Englishman, James Sparshatt, has visited Cuba eighteen times since 1999, witnessing the changes it has gone through over the years since then. 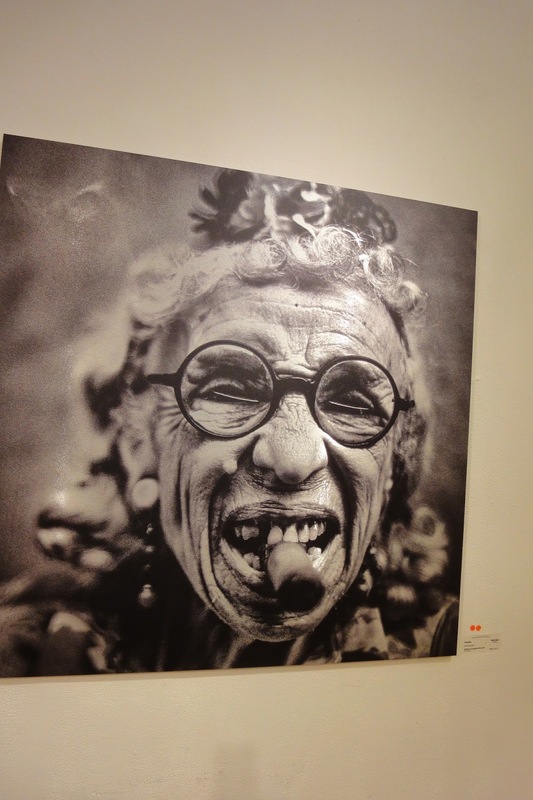 He has developed a body of black and white photographs which captures and documents the personality, sensuality and passion for life embodied in the Cuban people. His photographs are compelling and informative of this unique island culture. 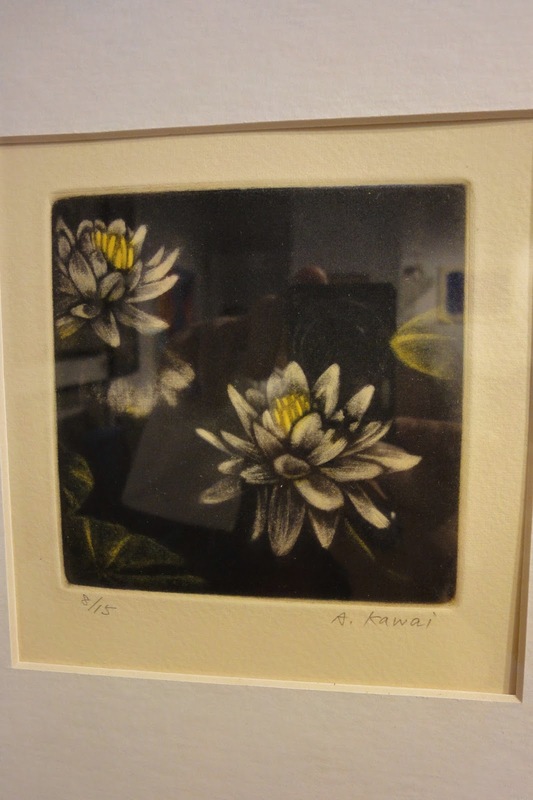 Atsuko Kawai, exhibiting with the Arts Student League, has created subtle, Zen-like, dreamy, color mezzotints, a technique which requires a lot of skill and patience. 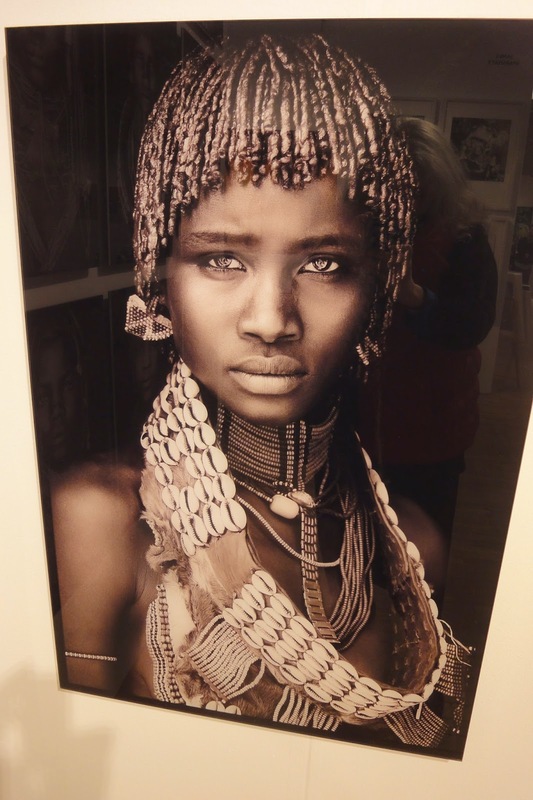 Her lovely pieces were surprisingly affordable, in the $150.00 range, framed. 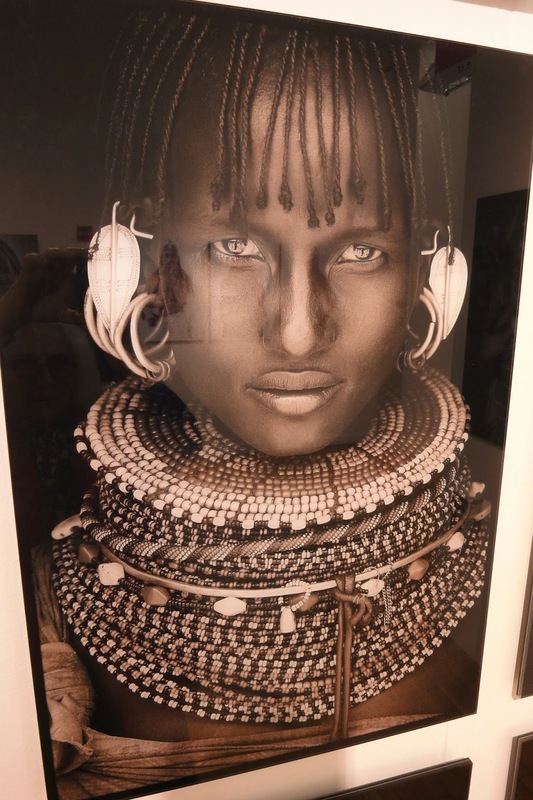 James Kenny's stunning, black and white photo portraits of African tribes people, featured at Capital Culture Gallery, U.K., capture an incredible depth of his subjects. 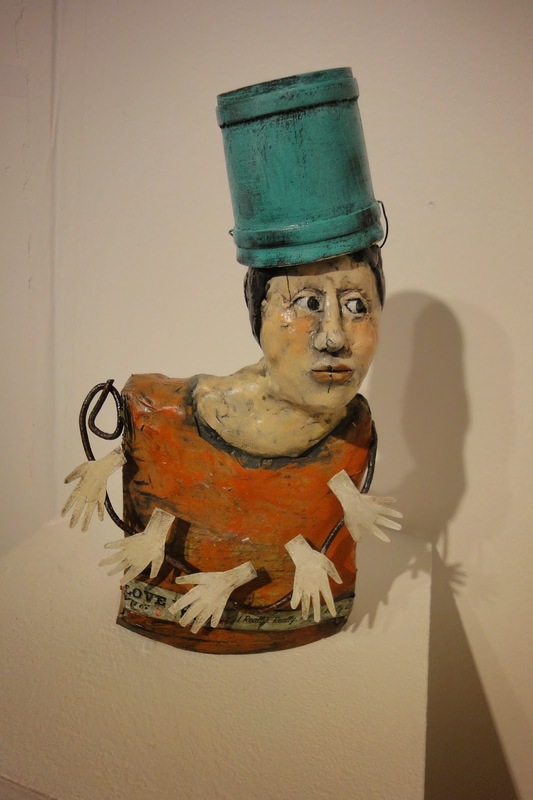 Julia Rivera's whimsical and eccentric ceramic figures, at the Juan-Marc Gallery, reasonably priced in the $350.00-$650.00 range, embody a sense of humor and a life of their own. 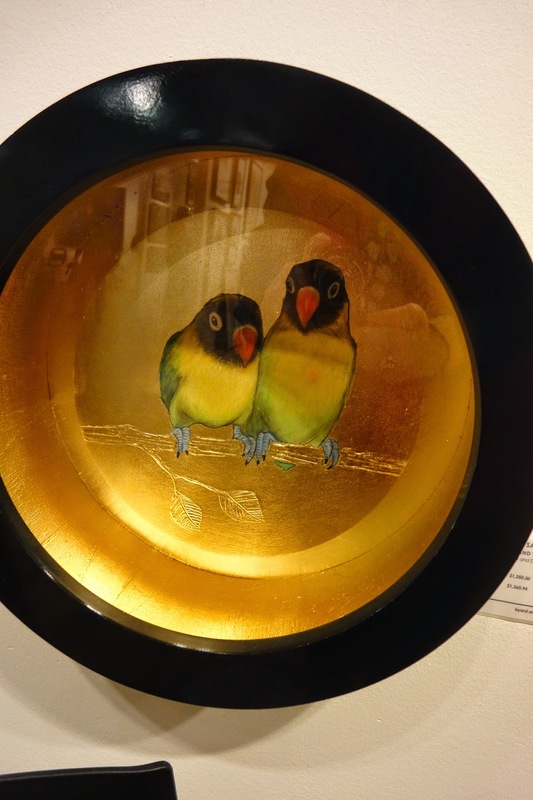 The Juan-Marc Gallery had a wonderful and intriguing variety of two dimensional and three dimensional art in their booth. 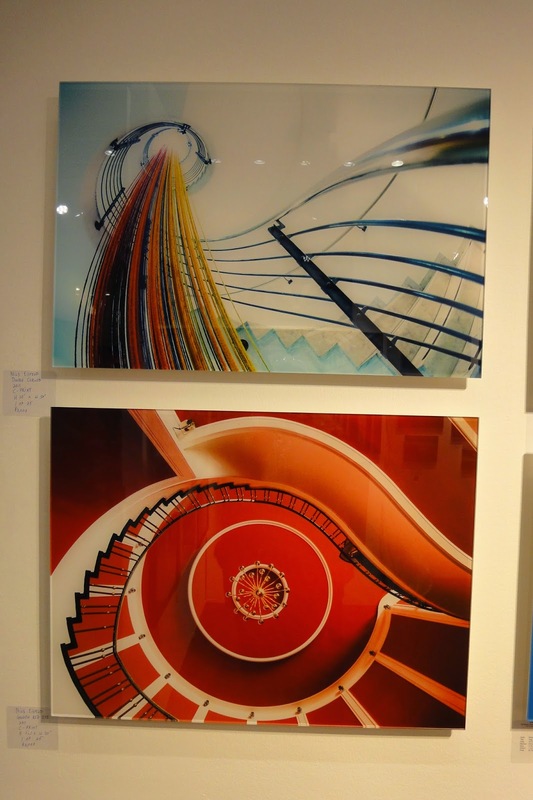 Their booth was lively and colorful, had sweeping energy and had a great visual composition. The large figure sculptures had a lot of movement and life to them. An interesting justaposition of photos.